Jewish Studies at Berkeley benefits from the generosity of alumni and friends, grants from foundations, and university resources. This support provides research and travel grants for faculty and students, graduate student fellowships, and prizes recognizing outstanding work in the area of Jewish Studies. The Helen Diller Family Grants and Fellowships Program in Jewish and Israel Studies provides funding for research and teaching in Jewish Studies in the College of Letters and Science. Established in 2002 through gifts from the Helen and Sanford Diller Supporting Foundation of the Jewish Community Endowment Fund, the purpose of the Diller grants is to bring campus-wide attention to Jewish Studies and to stimulate interest in pursuing research and/or teaching in related areas. The Diller program provides funding for undergraduates, graduate students, and faculty. Stipends and awards are made for research, travel, fieldwork, innovative teaching, and curricular development in Jewish Studies. Recipients must demonstrate outstanding academic ability and promise in areas related to Jewish Studies. These funding opportunities are available to current UC Berkeley students and faculty. Calls for applications are sent out annually. For more information, please contact the Center for Jewish Studies at jewishstudies@berkeley.edu. The Newhouse Grant, generously funded by the Jewish Community Federation and Endowment Fund, supports the educational, research, and travel needs of Jewish Studies graduate students, and helps support Yiddish instruction. The William Ze’ev Brinner Fellowship for graduate students was established in the spring of 2014. Professor Brinner received his B.A. in Near Eastern Studies in 1948 and his Ph.D. in Near Eastern Studies in 1956. He taught Arabic and Islamic studies in the Department of Near Eastern Studies at Berkeley from 1956 until his retirement in 1991, and served as Chair of the Department several times. The Rothblatt Family Graduate Student Endowment in Jewish Studies was established in 2013 by Professor Sheldon Rothblatt and his wife, Barbara Goor Rothblatt. With their fellowship they intend to support, encourage, and stimulate research in the field of Jewish Studies at UC Berkeley. Awards will be given to selected graduate students for fellowships, summer research and travel, and language instruction. 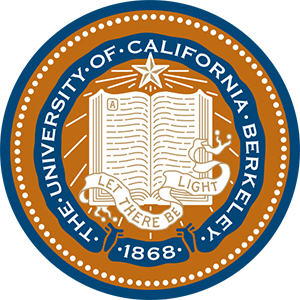 The Anne and Benjamin Goor Prize in Jewish Studies is intended to support, encourage, and stimulate research in the field of Jewish Studies at UC Berkeley. It was established in 1977 by Anne Goor in memory of her husband, Benjamin, and renamed upon her death in 2005. Up to four prizes shall be awarded annually: two for the best undergraduate essays and two for the best graduate essays. –There may be no more than 2 winning submissions by a student.